This week’s Vintage Love features Melissa of AM Radio. 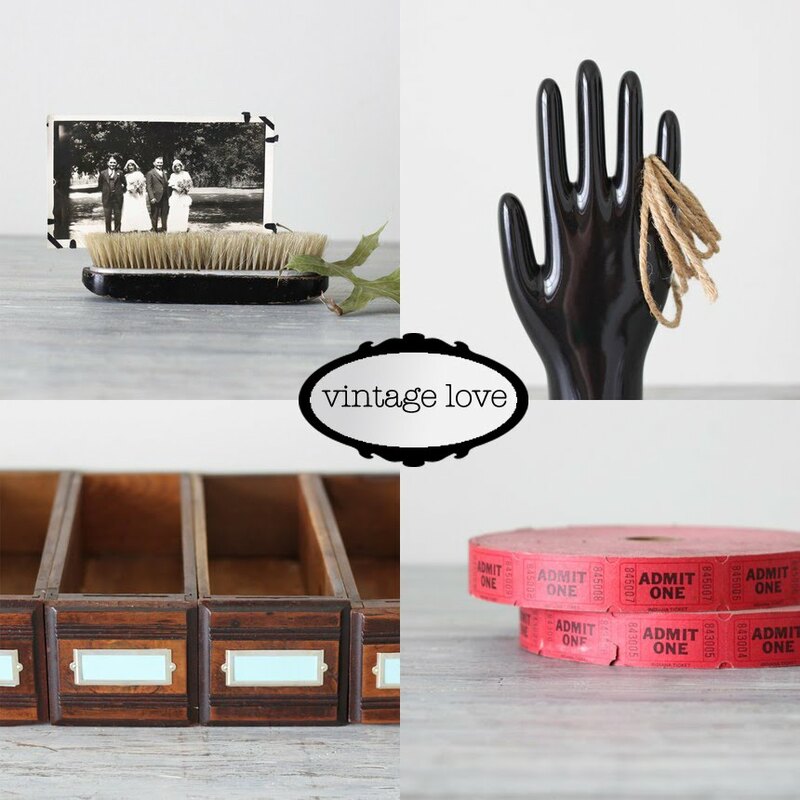 Melissa has a fantastic collection of vintage goods for the home. Her shop is so well curated! Vintage has allowed me to understand who I am. It may sound a little deep to some but as an interior designer by profession, I never felt a connection or passion for what I did until I started my vintage Etsy shop. It has taught me the beauty of simplicity and the benefits of living in a more relaxed lifestyle while still using my design background! I would say it is more like the best 'items' I have come across. Those are the pieces specifically tailored for people I know in search of them. There is such a thrill and hope it will be exactly what they were looking for and couldn't find where they live. The first rule of shopping for vintage is, there are none! It seems like once I think I have figured out a pattern, it all changes. Although I definitely have some standards I try to follow. I search for pieces which will appeal to others as much as they do to me, to restore items which would otherwise be considered junk and find a functional purpose for those that had another use in their previous life. Don't overwhelm yourself with the idea of needing to see every item at a flea market when there are thousands of pieces awaiting your purchase. Briefly scan a booth before entering to see if it fits your style, if not, move to the next. Upon entering, only glance over the tables. If an item is meant for you, there is no doubt your eye will find it. It is meant to be enjoyed! Thank you Melissa for participating in this week's Vintage Love. Photos courtesy of Melissa, AM Radio.